I love unique gifts. In fact, I live for them. 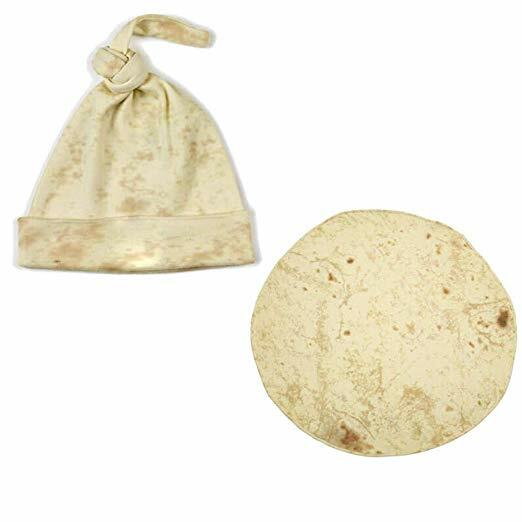 And this Tortilla Blanket for Babies is perfect for the taco night enthusiast. Who am I kidding? It’s perfect for any night! 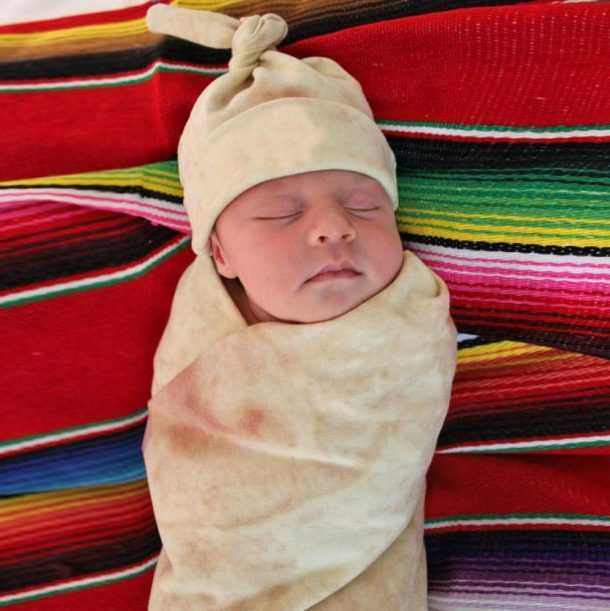 I’m sure you’ve caught yourself thinking, “you look like a little burrito” while swaddling your baby. I know I have! 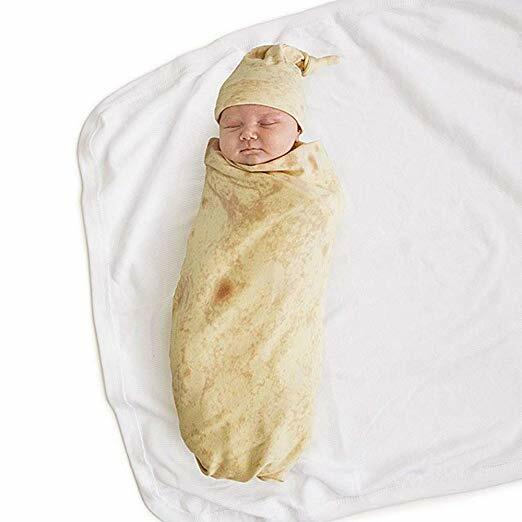 And that is exactly what makes this tortilla swaddle blanket perfect! And if your baby happens to be up for the part, a swaddle blanket and matching tortilla hat are what’s included. Man, I wish I had seen this a few months ago so I could have included it on my baby registry! You can snag this on Amazon for just under $15 which is a steal considering other sites are selling them for $35+. And if you really want to go crazy with your taco/tortilla obsession, you can snag a Taco Blanket for yourself. 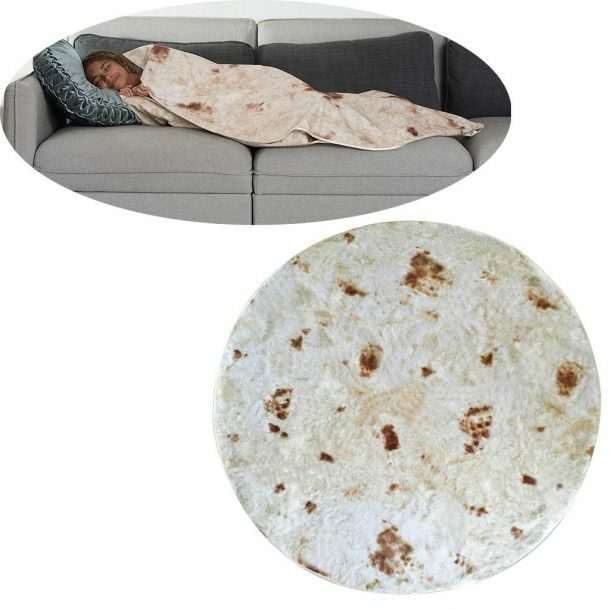 Or, even better, snag a matching tortilla blanket for yourself. You and your family will be adorable little burritos in no time! Previous Post: « Build-A-Bear Is Releasing a Pink Unicorn Stuffed Animal and It’s Magical!